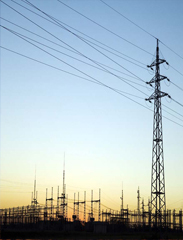 Power generation and distribution is one of the fastest growing innovations in the world. The use of energy has become a growing concern in both developed and developing countries—Americas, Asia, and Africa. At General Services’ Power Unit, we have realize this growing concerns and have acquired the skill, expertise, and experience to satisfying the growing needs of our customers. In addition to our goal of maintaining honesty, integrity and quality to deliver services; our teams of engineers and consultants have chosen efficiency, reliability, and affordable power as their emblem at every round table discussions. As we all know “A Smart grid is a form of electricity network utilizing digital technology” Our future plan is to help our customers meet their power and environmental challenges through new energy innovation and technologies. We have positioned our team to empower our customers and transform the way power is assessed, managed and used through research and world most popular power technologies.